Boskeun – Louis Glunz Beer Inc. This is the Spring Seasonal from De Dolle. 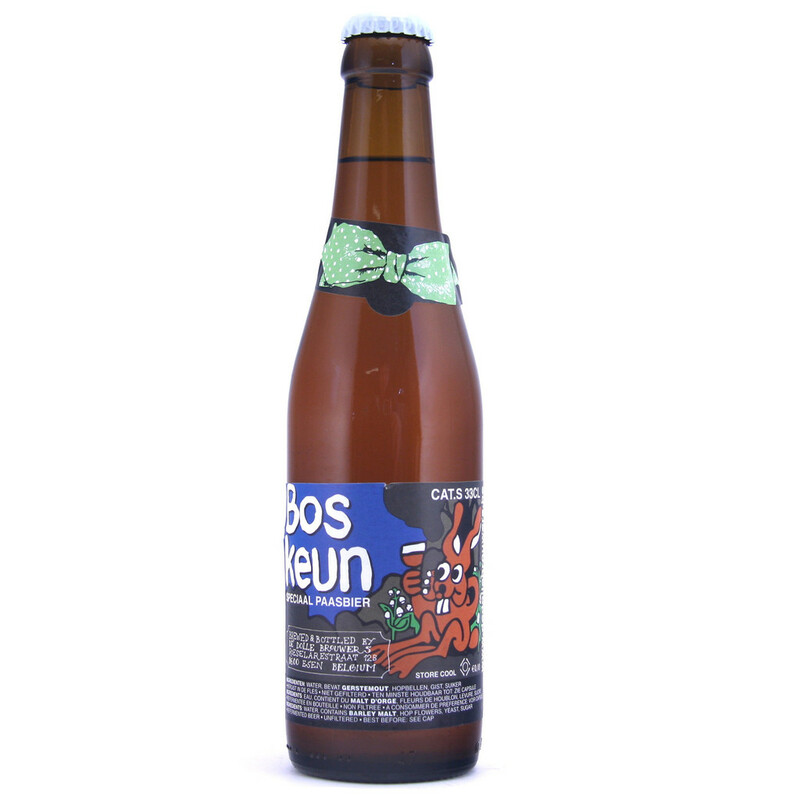 This brew is one of the first Belgian “Easter” beers. Re-fermented with native honey, “Boskeun” means “rabbit of the wood”.